After visiting fellow author’s blogs, I noticed they all tell you how much they enjoy coffee. Yes, I do enjoy a freshly-ground and freshly-brewed dark roast but not while I write. Since I consume dark roast, it takes me about five cups to really have jitters. I can drink it black but I do prefer it with non-GMO soy (not available at Starbucks) or skim milk. If we’re talking espresso, I enjoy a traditional machiatto. I know, I’m really pretentious. I’ve dated too many baristas. My favourite “cuppa” was experienced in the countryside of Denmark brewed by a man who spoke no English. This was his beautiful creation. This is a fairly unknown manga in the subculture of otaku and anime. First, it’s shojo. This means it’s written for girls in mind. If I’m correct, otaku in Japan are primarily young men who respond to the -kun honorific. Also, manga and anime are things you’re supposed to grow out of. They’re something “meant for kids” but it seems a lot of people secretly enjoy the two as they grow older. I would assume that’s why seinen (the adultier version of shonen) and josei (the adultier version of shojo) exist. By the way, all of what I know about Japanese culture has been learned primarily through inference. I’ve never been to the country. However, I would like to say I have a basic understanding from watching videos, reading historical novels over their culture, learning their cultural interactions and the significance of them, and how certain characters in their syllabaries (hiragana, katakana, and kanji) affect their overall communication. 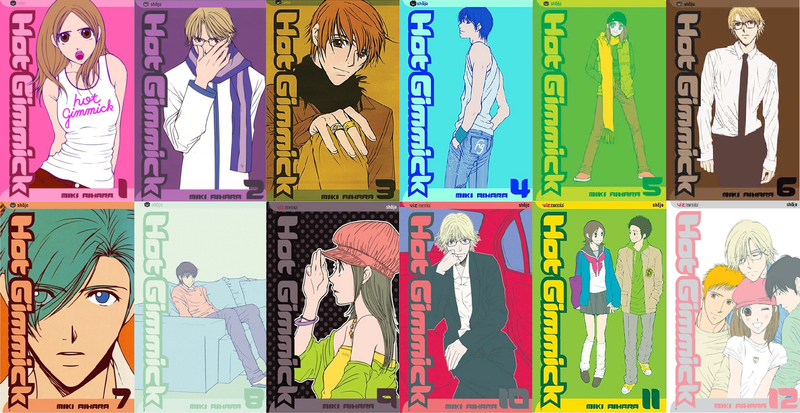 So the reason why you’ve never heard of this series is: shojo is generally unpopular and Hot Gimmick‘s counterparts (Hana Yori Dango, etc.) that came out around the same time received far better reviews and appreciation both in Japan and around the world. Right, let’s get on with it. I am a self-described “intellectual”. I am intelligent and I love more than anything a good, calm debate. I won’t engage myself into a chat where there’s no hope for anything good to come of it. This is why I love political science. This is why I love Japanese Role-Playing Games (JRPG’s). I have rules for those that want to play with me on the playground. I’m new at this blog thing so please forgive my blunders. I decided to make this to, “build my author platform”, as they say. I also thought this would be a convenient way to establish an “intellectual space” for discussions that I enjoy having. Both of these require explanations, don’t they? Challenge: Final Fantasy X End Game + 2 Bonus Posts, lol..